CHEONAN, South Chungcheong Province -- When Kil Tae-san was held at the immigration detention center in Korea in 2015, his desire to realize his dream of becoming a world champion boxer was one of the things that kept him going. “Boxing has always been my passion. 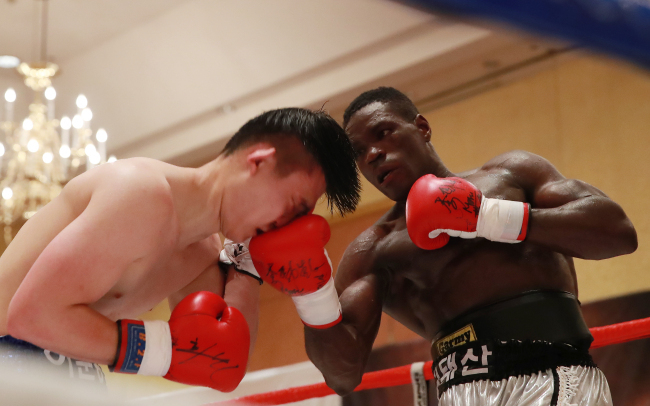 Ever since I started in 2003 at the age of 16, my dream was to become a world champion,” said Kil, born Jean Durandal Etobil Etobilin in Cameroon and now living in Korea as a refugee. “I thought if I get out of here, when I become free again, I will box again,” he said in an interview with The Korea Herald on Wednesday. Born on Jan. 6, 1987, the super middleweight boxer enlisted in his home country to be part of the boxing team. Little did he know of the hardships that he would face. “The brutality, torture would torment me physically and mentally. My wage would often be withheld. I had to participate in daily training and maintain ‘the right position,’ even when I was sick,” he said. Leaving the barracks was not an option, Kil added, as the Cameroon military would not allow him to be discharged. The one way out was a one-way ticket out of the country. In 2015, Kil came to Korea to participate in the 2015 Military World Games in Mungyeong, North Gyeongsang Province. Kil saw an opportunity as he left the team, and went to Guri, Gyeonggi Province, looking for help. After some two weeks there, he found help at the local office of the UN High Commissioner for Refugees, he said. Quitting halfway was not an option for him. “If I returned to Cameroon, I would be arrested as a deserter by the military,” Kil said. During the application process for refugee status, a blunder almost cost him a chance to be recognized as a refugee. He went to the immigration office to extend his stay here, which was when he realized he did not know the exact address for his then-residence. When he returned with the proper information, it was too late. This landed him in an immigration detention center -- called “foreigner penitentiary” by foreigners who have spent time there -- waiting deportation. The Korean law states that foreigners who have been ordered to leave the country can be protected at the facilities, if immediate deportation is impossible. “Actually, the living conditions were not that bad, but there was a lot of stress,” he said. The immigration detention center has been a thorny issue in Korea after it was revealed that foreigners live behind bars and face the mental pressure of being forcibly held indefinitely. Fortunately for Kil, he managed to submit the papers and was granted refugee status in November 2015. 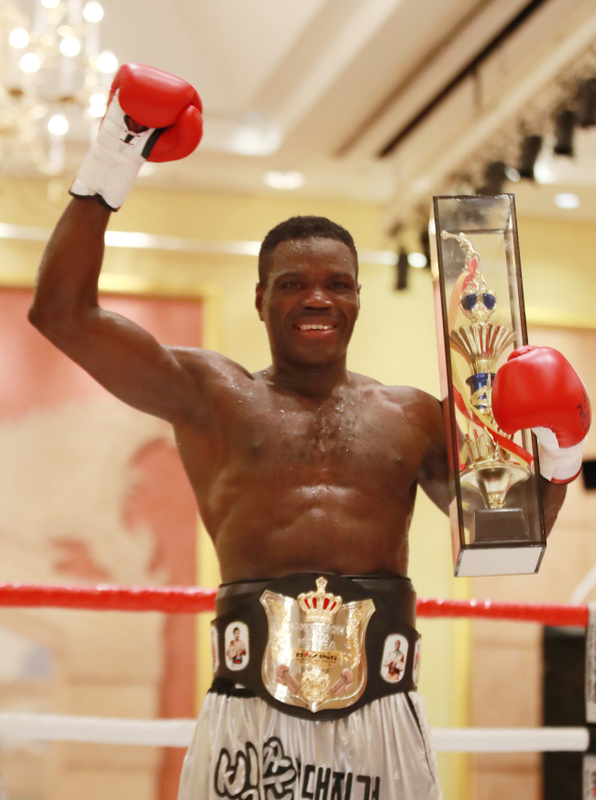 Roughly 2 1/2 years later, Kil stood at the ring set inside Grand Hilton Seoul, on July 29, prepared to fight for the Korean super middleweight champion title. In a six-round TKO win, he defeated Lee Joon-yong to be named the new champion. Kil has been making strides with his teammate and friend from Cameroon, Abdoulaye Assan, known here as Lee Heuk-san. 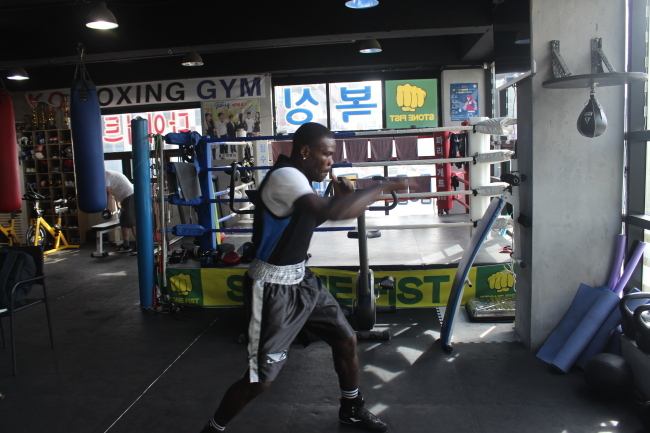 Lee was the first to win a title here, becoming the champion in the super welterweight division last May. After Kil won the boxing contest in May, the World Boxing Association’s Asia Super Lightweight Champion Won Woo-min was quoted by local media as saying that Kil may be a better fighter than Lee Heuk-san. “(Kil’s) His physique itself is his strongest point. He packs powerful punches and he has a very solid body,” said Choi Jun-kyu, Kil’s trainer and the owner of the Doljumeok (Stone Fist) gym where he trains. Choi is in charge of the promotion of Kil’s activities here, as the boxer still has trouble communicating in Korean. “I feel sorry for him, though. Having come to a foreign country without anyone,” Choi added. Maintaining a positive attitude, Kil said he has not had much trouble adapting to life in Korea. “The only problem as of now is communication. I try to understand as much as I can but sometimes I just can’t. … And food, there was no problem whatsoever,” he said. Despite Kil’s positive attitude, he has yet to make a Korean friend. “I don’t go out a lot because I don’t have friends around here. Assan (Lee Heuk-san) is in Chuncheon, and there are some from Cameroon who live in Ansan. None around here,” he said. Whenever Lee pays him a visit, the two pair up and train, motivating and pushing each other. Kil’s life right now is fairly routine: He works out twice a day from Monday to Friday, resting at home on Saturday. On Sundays, he studies Korean at a local church. Does he wish he had any Korean friends? “I have my Korean family right here,” Kil said, pointing to Choi. Kil says his goal now is to work toward a world championship, a goal that he has never lost sight of throughout the various obstacles in his life, from the days at the Cameroon military, to behind bars in a detention center.